By scanning the QR code below, you will be able to make use of your credit card to pay for our fees. Download the application on most Smartphones. 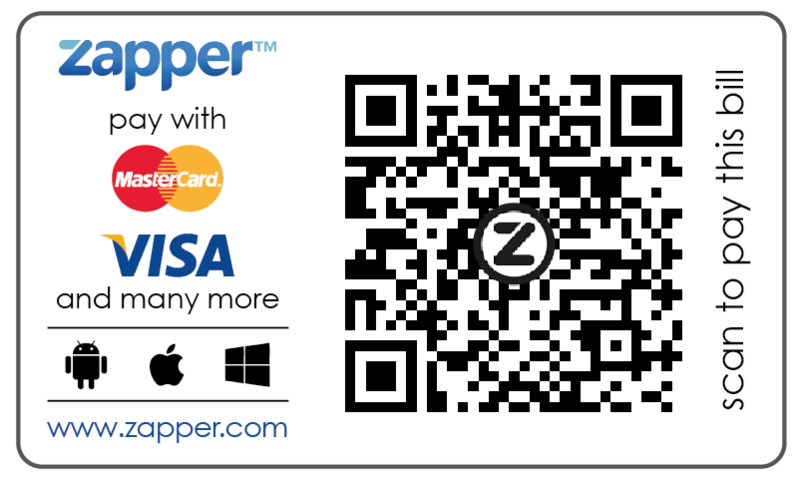 Find more information at www.zapper.com.